Next Monday will be a big day in this household. 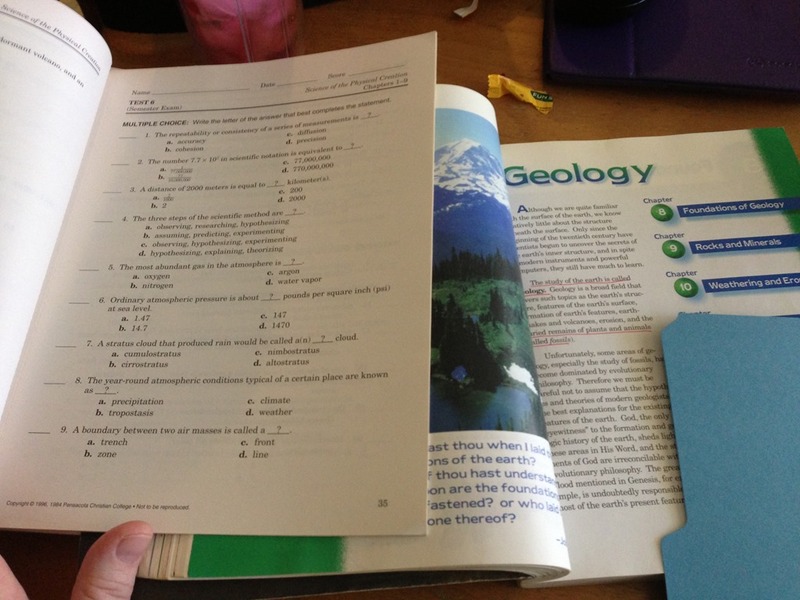 This upcoming school year begins Cristin’s freshman year of homeschooling. I’ve been planning this year for the better part of a week. I’ve ordered brand new books from Amazon. I’ve purchased new notebooks and pencils. The only thing I have left to do is some photocopying. I don’t know if I have ever planned and prepped to this degree before. As of right now, I have her first 12 weeks of school mapped out in detail. I only planned 12 weeks for right now because I want to see how this plan is executed before I plan another 12 weeks. 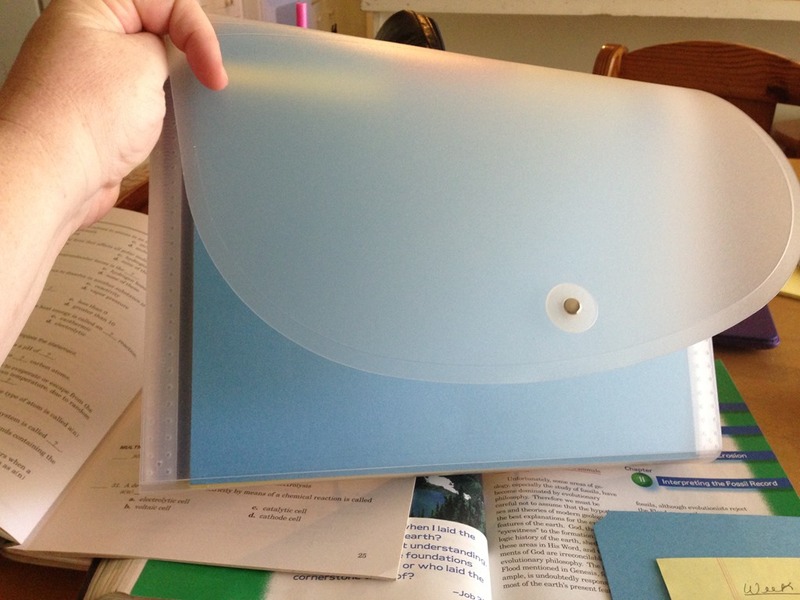 I bought one of these expandable file folders to contain her lesson plans. Inside the folder are 12 folders marked by week number. 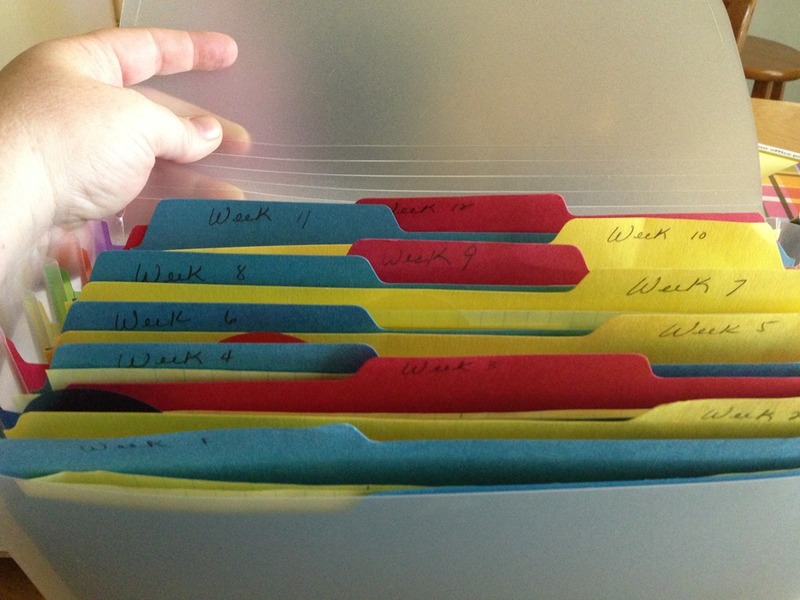 On Monday, she will pull out the folder marked “Week 1”. After she completes every assignment, I grade it, and corrections are made (if necessary), she will be done for the week. I don’t care if it takes 3 days or 6, she must have everything done by 9:00 pm Saturday evening. I have several rules and expectations that I will go over with her on Monday morning. She will also have rewards for completing her work without complaining and drama. The short of it is this….her work has to be done by Saturday evening or the cell phone is mine. If she gets everything done the way I want by Saturday evening, she earns $$$$. I don’t mind offering her this incentive because she works hard to help with housework without being asked. This will be her way of earning some spending money. I don’t know if paying her for school work is wrong or right, but that’s my plan at the moment. If the plan works, I’m fine with her cashing in. 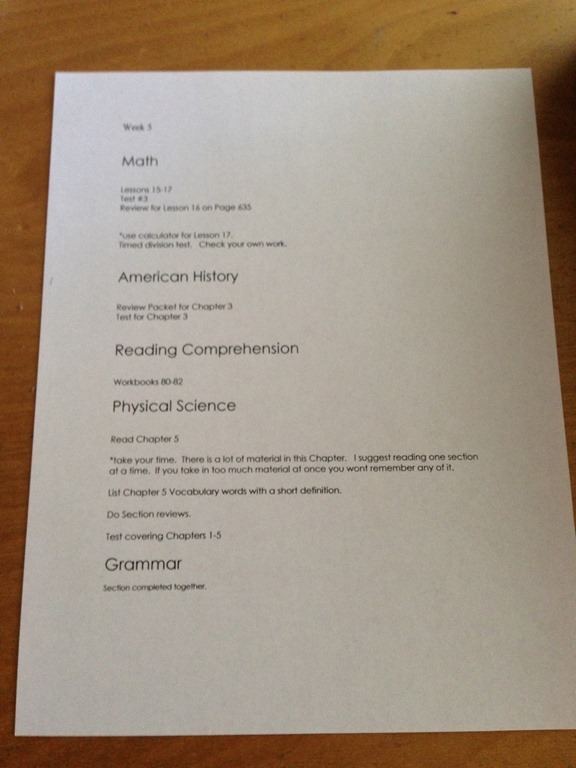 I have every week typed up and ready to go in the folders along with accompanying test and worksheets. She has a mini syllabus for each week. Yep…I’m pumped about this school year. 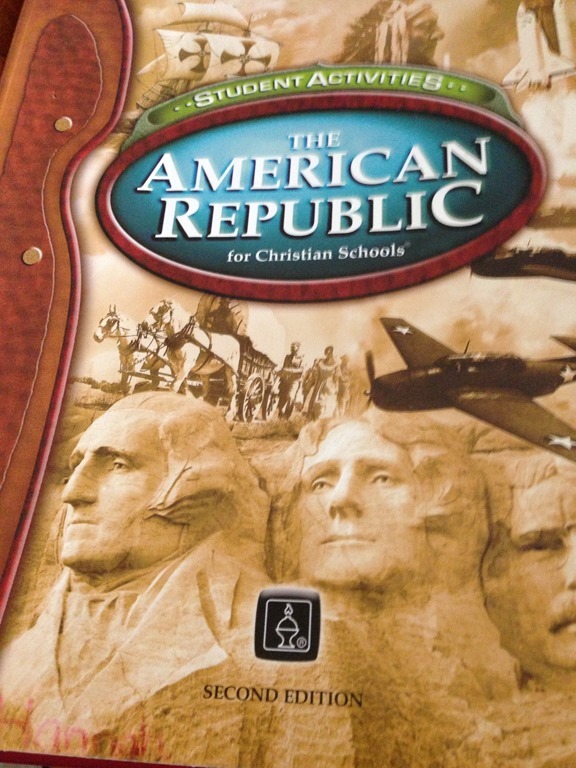 This is my favorite American History curriculum. We will go through this book with a fine-toothed comb. She will also be writing reports about topics from this book. Clay told me today that one of the most beneficial assignments that I gave him during his homeschooling years was report writing. He said it was very helpful in his college classes. Cristin doesn’t know about report writing yet. I’m keeping this a secret until Monday morning. Cristin and I have had several discussions about the next 4 years. I told her that I can only do so much. I told her that I will help and plan, but the work and drive to succeed has to come from her. I can’t force it upon her. I pray that she will take the initiative for her future. She has been a little reluctant to learn the last couple of years. However, I feel that she might be a little more willing to learn this year. 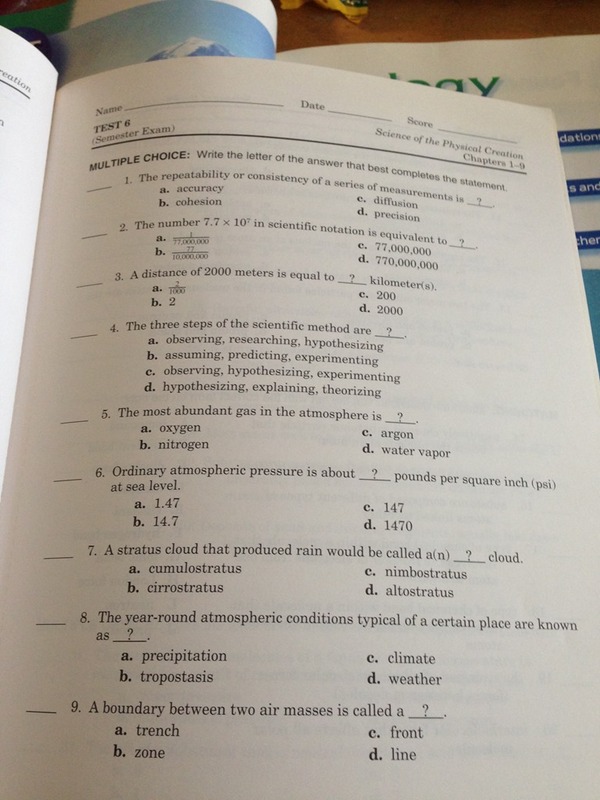 We will be working hard to prepare for college SAT’s. It all starts on Monday morning…wish us luck. 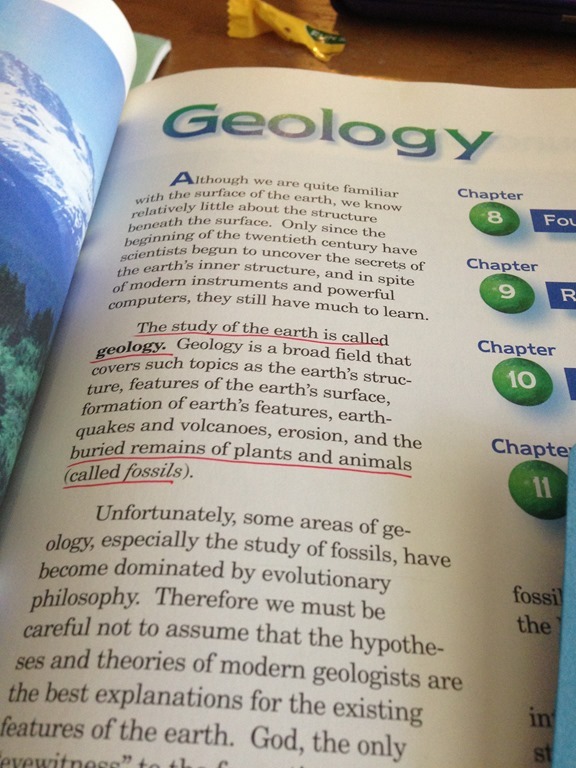 This entry was posted in Homeschooling and tagged family, homeschooling, Kids, life, parenting, teenagers. Bookmark the permalink.